Home / News / What would life without Rubber be like? We’re so accustomed to rubber, it’s unlikely we’ve ever given a life without it any thought. Plus, it comes in so many forms that most of us forget it exists at all. We have rubber tyres (of course), rubber shoe soles (pretty obvious), and rubber phone-cases (commonplace). However, we often fail to realise just how much rubber impacts our day to day life. In this post, we take you through what we think a life without rubber would be like. The natural rubber market is a huge part of the global economy, with the price of rubber itself fluctuating hour by hour. It’s a healthy fluctuation, although production is currently outpacing demand globally. Without rubber, though, the global economy would suffer greatly. Thailand, Indonesia, Vietnam and India are the top four producers of natural rubber, respectively. Thailand in particular relies massively on its exports, of which rice and rubber are the primary commodities. It has suffered greatly in the past as a result of droughts, reduced global demand, and overproduction. If rubber were to cease to exist, Thailand could lose up to 8.5% of its GDP. Historically, manufacturing equipment has required steel to build it, coal to power it, and rubber to keep it from sticking together and frying. Without rubber, the flexible tubes in cars would likely be replaced by metal, which would rattle and scratch and heat up and fall apart. 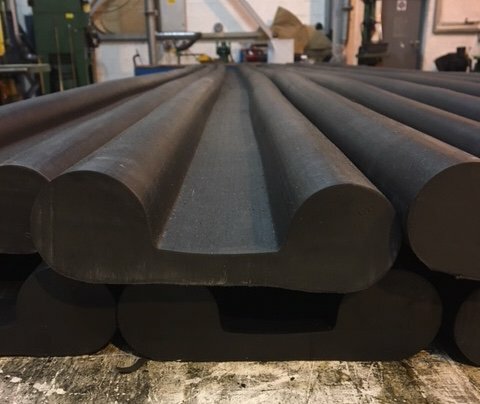 Rubber has many unique properties that make it perfect for use in industry; often appearing as gaskets, seals, washers, piping, and protective sheeting. It’s flexible, can be modified to be even more malleable, and offers a corrosion-resistant solution to underwater and acidic applications. On a level of pure inconvenience, a world without rubber would make life extremely difficult. There’s the obvious issue of no rubber for tyres, meaning transport on our miles of road would be bumpy and dangerous. In fact, rubber is used in the production of bitumen, the material used to lay roads. In a world without rubber, motorways and dual carriageways would eventually revert to the way they were before tarmac – dirt and stone tracks, cobbled and bumpy. On a smaller scale, we’d have great difficulty keeping ourselves safe in a digital age that relies on electricity so broadly. Rubber is a fantastic electrical insulator, and as yet there are no other materials with the same properties available for a similar price, or in similar quantities. Plastic is sometimes used to insulate wiring, but it has the unfortunate disadvantage of overheating and melting when wires get too hot. In a spate of sudden “first-world problems”, we’d lose the ability to wear rubber-soled shoes, coat our iPhones in protective casings, and (perhaps worst of all), close doors quietly. Thankfully, rubber doesn’t seem to be going anywhere soon. In fact, we’re currently experiencing an overproduction of natural rubber, due to a decrease in demand.